And isn’t that really what matters? What was I making the cake for? My child. Definitely not Pinterest. And I think as you look at the pictures of cakes I have made, you will likely think, “Those aren’t so bad!” And they aren’t. They aren’t so bad. But they definitely wouldn’t shine on Pinterest! Ha! And that is okay. You know what else? If the Internet didn’t exist, I would probably be pretty proud of my cakes (though a couple of them wouldn’t exist because I found inspiration on the Internet). There are so many different ways we can compare ourselves to other parents. We can compare how clean their house is to ours, how balanced their meals are compared to ours, how patient they are compared to us, how many fun projects they do compared to us, how many cookies they bake compared to us…and as if simply looking to other homes and moms and imagining what is going on behind those doors wasn’t enough to make women feel inferior, we now have the Internet and sites like Pinterest to remind us in our moments of triumph that once someone did it better. The next time you find yourself in a self-deprecating moment, take a step back and think look at your child. Was it child worthy? If so, then no matter how you did it, you did it perfectly. I so needed to hear this today! We moms need to remember that we all have different strengths and not one of us is great at everything. We need to stop trying for perfection and remember what is most important to our children is most important. I love your cakes! They are beautiful because they are homemade. I make my children's birthday cakes too, and while I know I could get a "perfect" looking one from the store, I find it extremely special to be able to make their cakes for them. 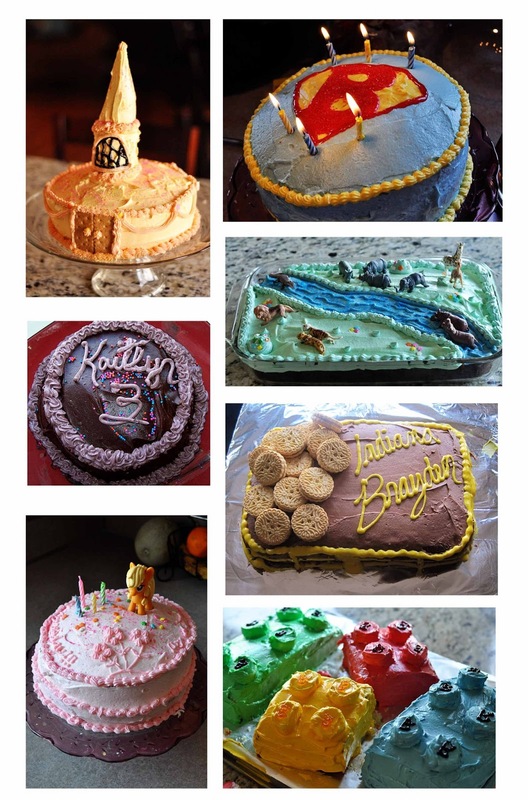 My mom made our birthday cakes every year too, and they were not perfect or "Pinterest Worthy" – and we LOVED them! I hope to give my children those same memories, just like you are doing for yours!! Amen sister! Tears stung my eyes when reading this so it's obviously a sore subject for me and something I need to remember! I had the same thought when I was determined to make my daughters first bday cake. It ended up looking "trashy" by my standards, but it was for her to destroy anyway. Everyone else got professional cupcakes. I no longer make the cakes. It's easier to outsource what you know you're not good at and put time and effort into other things! I love this message. Just being a mom and caring is more than enough for our kids! One of my new favorite posts. It's amazing how many things I do with my subconscious saying, "What will so-and-so think of this?" That's no way to live life! Thank you for writing this. Love your cakes! Mine are the same way. The reaction from my children is the best reward. As mothers, its so easy to compare ourselves, our husbands, our children and our lives to others. It reminds me of something my pastor always says when we go on mission trips to foreign countries – "no complaining and no comparing." It works for working with other cultures and it works in life in general! Great post! Wonderful point! Plus, it made me smile reading this post. Thanks! Thank you everyone for sharing your thoughts!